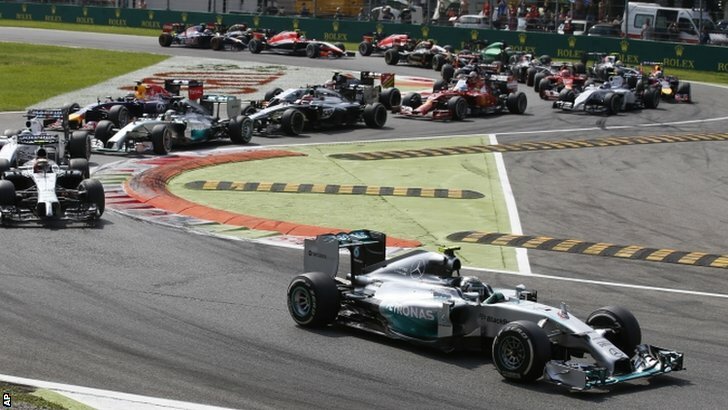 So, two weeks after the hijinks of Belgium, Formula 1 has returned to our screens! This time, for once, Lewis Hamilton managed to have a good race (apart from a poor start), and it was Rosberg who made mistakes under pressure, twice running off the track at the first turn after getting his braking wrong. Hamilton drove well, kept up the pace and, after clearing the Mclaren of Magnussen and the Williams of Massa, quickly bore down upon Rosberg. On a track that demands speed, Hamilton had it, outpacing Rosberg quite nicely. In the end, it was a deserved win – though the distance between the pair on points is still quite big. Hamilton needs to win every race if Rosberg is second in every race – a tall order, especially given his mechanical luck this year – so realistically, he needs Rosberg to suffer a mechanical failure or two of his own, if he is to close the gap. Daniel Riccardo once again displayed the traits of a future world champion, including (but not limited to) a bold overtaking move on his four-time world champion team mate Vettel, to claim fifth place. Massa took third (his first podium since Spain last year), and showed the progress of Williams. His team mate Bottas was also full of overtaking moves, prepared to be brave when it mattered. Ferrari’s home grand prix wasn’t a memorable one for them. Alonso retired due to mechanical problems and Raikkonen could only manage tenth place – disappointing for them, and they will want to improve when F1 next gets together. Can Lewis maintain his form? How will Rosberg respond? What sparks will fly next time out? I cannot wait!